Inside of the old David’s Fast Food location in Hialeah, you can now find Pipo Burgers. 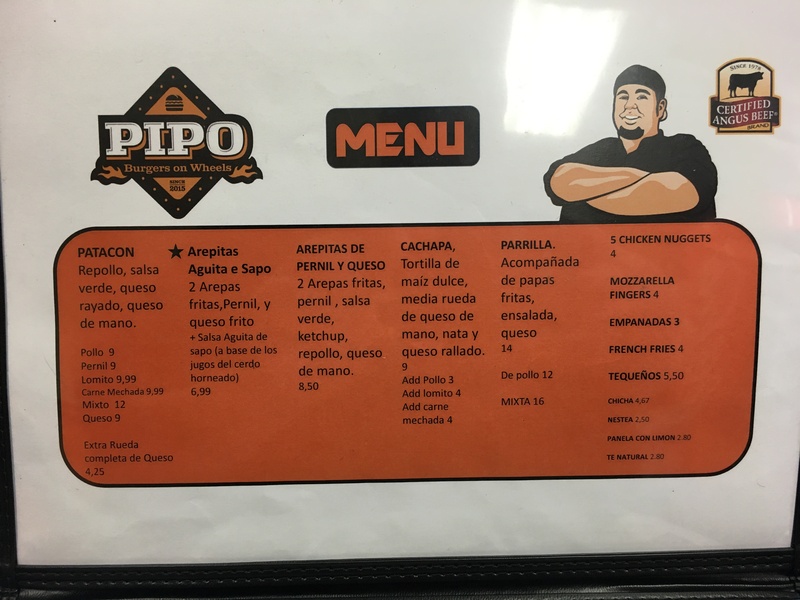 I’ve been tracking Pipo Burgers since it started as a *Food Truck last year that parks late night in the Doral area. Every-time that I drove by, it was not just packed but crazy packed which means there’s something definitely happening there. Now that there’s a brick & mortar location I knew it was time to finally hit them up. I made my way to Pipo Burger full intending to eat only the Burger and possibly the Fries. And then there it was……one of my Venezuelan weaknesses…the Cachapa. What’s a Cachapa you say? Well, it’s very similar to an Arepa. You should think of them as a Corn Pancake served Half Moon-style stuffed with their Hand-made Cheese (Queso de Mano) slathered with Butter/Margarine and topped with Cream and grated Cheese. When I tell you it’s unbelievable, that’s an understatement. I love Cachapas so much that if you told you me that you don’t like them then we couldn’t be friends. Honestly, though, Pipo Burgers’ Cachapa is a home run. I was really at a loss trying to figure out what would be the Burger I’d eat. The waitress suggested I try the FritiBurger. The FritiBurger is topped with Repollo (Cole Slaw), Papitas (Potato Sticks), Salsa Verde (Green Sauce), Ketchup (Yes, there’s Ketchup), Maduros (Sweet Plantains) & Queso de Mano (Hand-made Cheese). I’m not a Ketchup on my Burger kinda guy but the flavor combinations going on here defy logic. I was convinced it wouldn’t work yet not only did it but it was beyond excellent. This sounds like the late night creation of a drunk. If that’s the case, drink Pipo drink. The Bacon Cheddar Fries were great but a little too much combined with the Cachapa and Fritiburger. I’ll try the Truffle Parmesan Fries on the next visit. The *Maracucha Burger is topped with Potato Sticks, Queso de Mano, House Green Sauce & Ketchup. I requested no Slaw (Repollo) on this one. 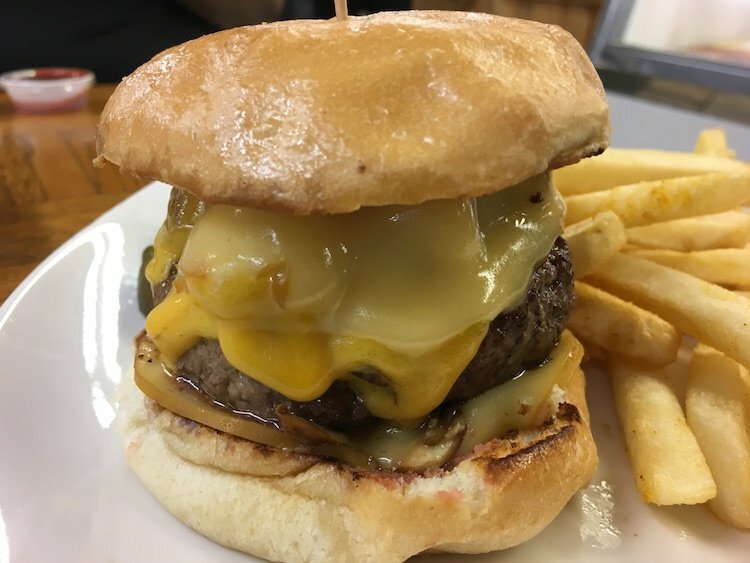 It’s a very similar Burger to the FritiBurger I had on the first visit. I prefer it this way sans the Maduros. WARNING: This is a highly addictive Burger. *In case you were wondering, “Maracucha” refers to someone from Maracaibo, Venezuela. I’m mostly over the whole Truffle Fries movement but these were pretty good. Last but not least I tried Chicha, a Venezuelan Rice Milk drink. It tastes very similar to the Mexican Horchata but it’s much thicker. The flavor is reminiscent of an Arroz con Leche (Rice Pudding). I’m not exactly sure if it’s meant to be dessert but I enjoyed it as one. 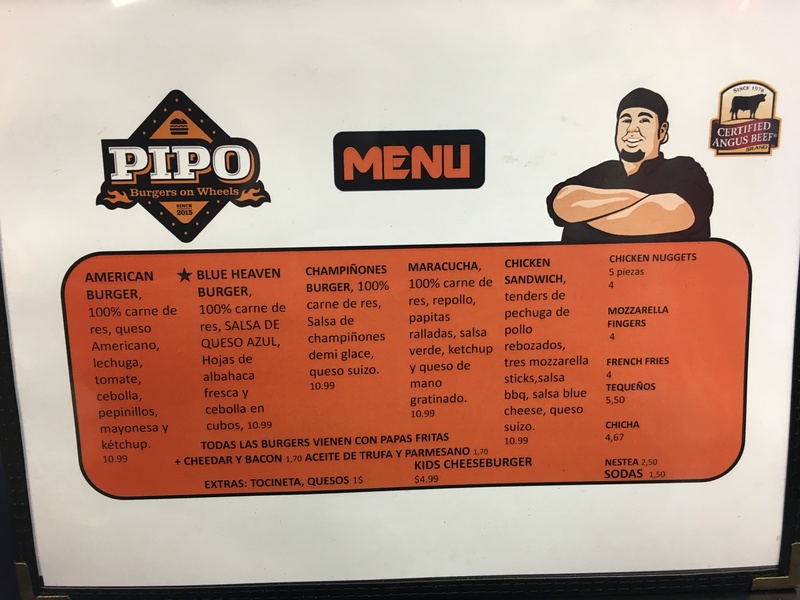 There you have it, Pipo Burgers is a great little spot in one of my favorite parts of Miami, Hialeah. It’s located right off the 826 expressway so you can’t even use that “Hialeah traffic” excuse. Pipo Burgers is back to being a Food Truck located in Doral. *The Pipo Burgers Food Truck is still out and about.